Over the past few years, T-Mobile has without a doubt become the most progressive wireless telecom company in the US, creating massive disruption in the wireless industry. While an aggressive pricing and marketing strategy is part of the reason for their success, another part of the reason is the rapid rate in which the network is advancing. Today, T-Mobile has announced a revolutionary step forward once again revealing Digits which aims to completely revolutionize the phone number. Whereas currently phone numbers are connected to just a single mobile device, T-Mobile’s new Digits solution will allow phone numbers to be usable by any internet connected device so smartphones, tablets, smartwatches, PCs, etc will be able to answer phone calls and send text messages on the same phone number. Similarly, T-Mobile will also allow those with multiple phone numbers to register them on the same device so a single phone can be used for personal or business removing the necessity of carrying multiple phones and having multiple phone plans to pay for. 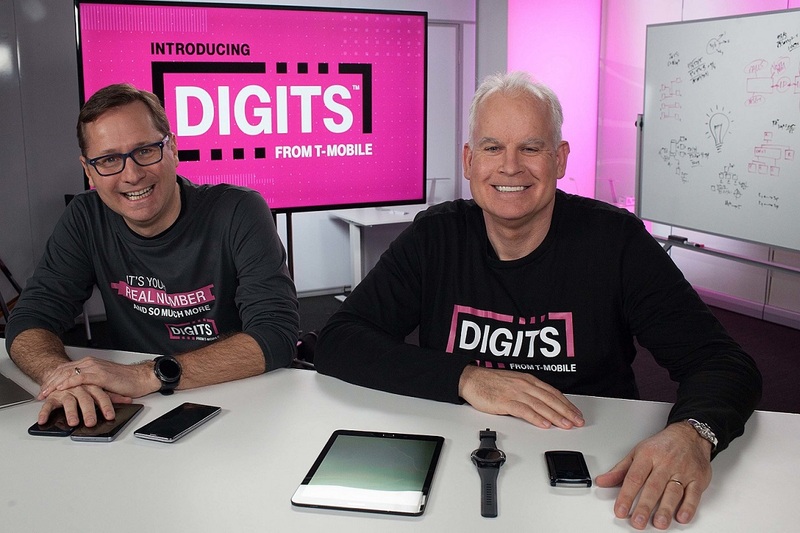 T-Mobile’s COO Mike Sievert and CTO Neville Ray sums everything up in the T-Mobile Digits introduction video. T-Mobile Digits will begin rolling out today as a beta which you can sign up for here. Needless to say, you must be an active T-Mobile customer (postpaid Simple Choice or T-Mobile ONE plans only) in good standing. T-Mobile expects to fully roll out Digits early next year.